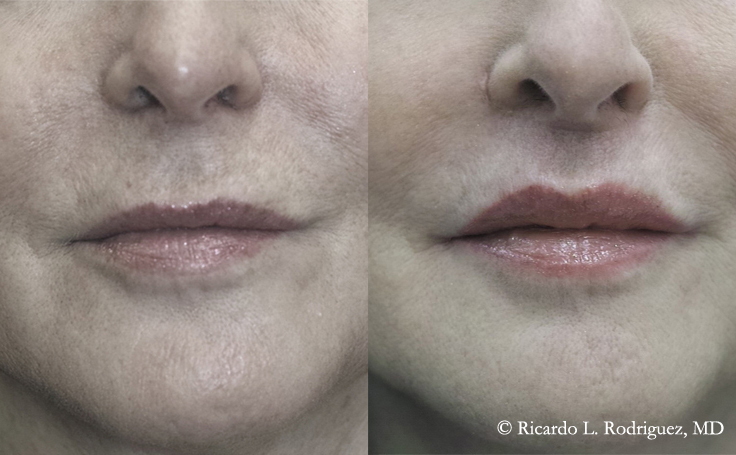 Lip Lift performed on a 55 year old, 5 ft 5 in female to rejuvenate the mouth area. 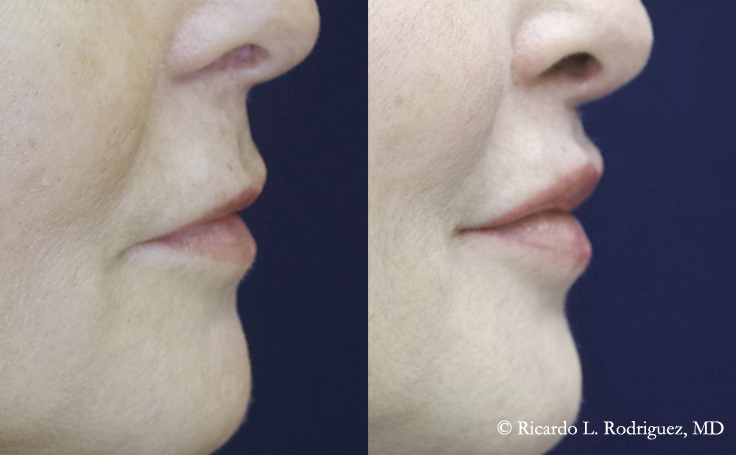 To make her mouth more youthful, Dr. Rodriguez performed a Lip Lift procedure removing several mm of skin at the base of the nose. The result left her final philtrum to vermillion border measurement equal to 1.0 cm (10 mm). The procedure was performed under local anesthesia in his AAAASF accredited Surgery Center.